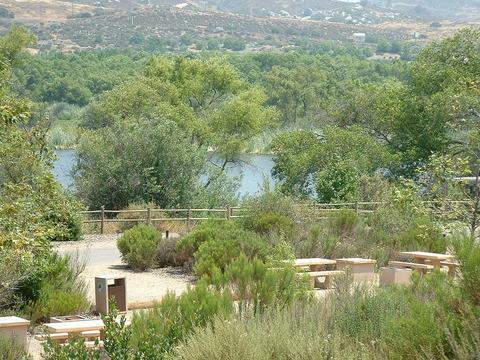 The Kumeyaay Lake Campground is open for Friday and Saturday night camping. The 46 campsites are available for reservation on a first-come, first-serve basis and the cost is $24 per night. 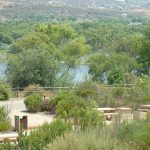 On the reservation website page, go to the "Location" drop-down menu at the top of the page and select Kumeyaay Lake Campground. The Campground sites are also available for Day Use - Monday through Thursday. Hikers and cyclists are welcome to walk into the Campground to utilize the picnic tables Monday through Thursday. The East Comfort Station restrooms will be available. No BBQs, grills, stoves or open fires are allowed. Existing BBQ grills in the day-use parking lot and at the adjacent amphitheater may be used..
Trash must be disposed of in the appropriate receptacles.